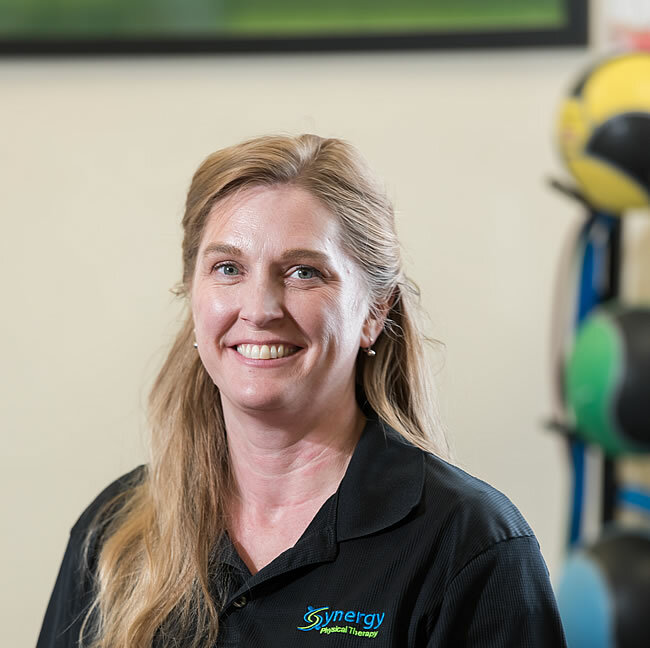 Dr. Catherine Cote is a graduate of American International College’s Doctor of Physical Therapy program. She is currently pursuing a certification as a Strength and Conditioning Specialist (CSCS) through the National Strength and Conditioning Association. Dr. Cote works on a variety of orthopedic injuries and works with pediatric to geriatric populations. She is a mother of three. When she is not working, she enjoys playing soccer at Allsport in Northampton during the winter season and outdoors in the spring and summer. Dr. Cote also enjoys snowboarding, hiking and all outdoor activities with her family and two rescue dogs. We at Synergy Physical therapy help to restore the fun in peoples lives through improved movement and function. Make an appointment today.